seanwes tv is a daily video show with fiery inspiration on creativity and business. Good news! 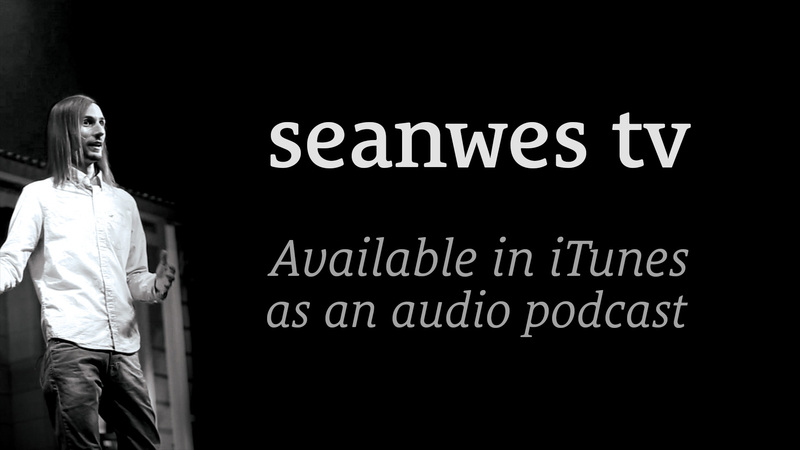 You can listen to seanwes tv as an audio podcast! This is great for those longer episode. Listen in the gym, on a run, while driving, or while you clean the house. You might notice the audio podcast feed starts at episode 60. The first 60 episodes are not available as podcasts because the show was not originally produced with a podcast in mind. From episode 60 on, I began to produce the video show with the consideration that it will be made available in podcast form as well—and that you may in some cases only hear the content (and not see it). The first 60 episodes are still available in the seanwes tv archive but they won’t be listed in the podcast feed. This show, and all shows on the seanwes network, are supported by seanwes members. As a result, we’re able to keep the show ad-free and sponsor free. ⭐️ Consider becoming a member to support the show. If you’re enjoying the show, go to seanwes.tv/review and leave a review for the podcast! It really helps out a ton. If you open seanwes.tv/review on an iPhone, it will open directly in your podcasts app and you can leave a 5 star rating in a matter of seconds (writing a review is optional). I hope you enjoy the show and if you ever have any questions, comments or feedback, I’d love to hear from you. Head over to seanwes.tv/contact and drop me a message. Follow along @seanwes on Twitter or @seanwes on Instagram. Thanks so much and I’ll talk to you in the next episode!